If you have not read The Knife of Never Letting Go and The Ask and the Answer…. Look away NOW. Flabbergasted…. Emotionally drained…. But damn happy with the ending. 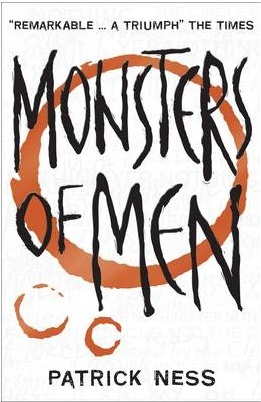 Since reading this book I have coined a phrase to describe my relationship with Patrick Ness and his work: Nessochistic. Seriously, I know what’s going to happen to my emotions when I pick up one of his books… but I keep going back and putting myself through them. The major low point for me is that this book is the last one and I’ll never get to see Todd and Viola and Wilf again… emotionally invested. Also… it’s been said before… but I wish the Mayor had gone out with a bit of a bigger bang. Hero/Heroine/Love Interest. I’ve said everything about Todd and Viola in my earlier reviews so it would be redundant for me to go on about them again. I just love them. Everything about them. And I’m so so so happy that Ness didn’t character assassination-y with them which so often happens in epic trilogies. These two kids not only stay pure, brave and good-hearted… they also grow with the story and learn from their mistakes. Perfection. And on the love aspect… BOOM. But an honourable mention to Lee… who put up a good fight and I genuinely got sad when what happened to you happened. Thank Ness for Noise, eh? Sigh. The only quibble I had with this book was the depiction and the character development of the Mayor, who is possibly one of the most well-thought out and creeeeeepiest villains I’ve ever read. It seemed the whole book was leading up to some huge, mind-blowing ending that would challenge everything that I had ever thought about not only his character and the fine line between good and evil… but also LIFE (shut up)… but when it came to the crunch, it kinda fell a bit flat. And then we have Mistress Coyle… Waaaah. 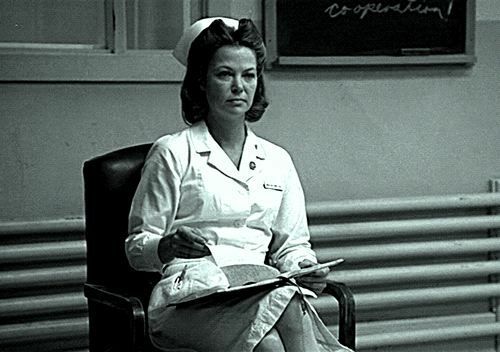 I don’t know why but whenever she was in a scene I couldn’t help but think of Nurse Ratched. Terrifying but also absolutely fascinating and definitely one of the most important characters in the whole trilogy. The Return was the most surprising aspect of this book and, even though I knew he was probably going to feature, I didn’t think he would have such an impact on the story and the characters. I thought the addition of his narrative was perfect and added even more emotional depth to this story. It really opened my eyes to the idea that things aren’t always black and white and it is in the shades of grey in between where things really get interesting. Also WILF. Man, I love this guy. He should have his own book called ‘Wilf Walking’ which consists of chapter upon chapter of him and his oxes in a field. You know you’d all read it. And The Source. YES. Fist pumps may (read: totally did) have happened. I needed an epic song to end this series on and after the final few pages (*breathes deeply*), I immediately thought of Ms Jesus and my favourite song of hers because the lyrics and the message of the song are so accurate and this song makes me feel tingly. 10/10. This book practically gave me a heart attack. From the combination of the break-neck speed the narration shifts between the three characters, the effed-up things that happen ALL THE TIME and the way Ness makes you question everything you’ve ever learnt, this book did not let up from the first page until the last. And it’s a long book. But even though I did feel overwhelmed and racked with emotion, I never felt it was too much and because the characters never panicked and went mental (If I was a character in this series I would have spiralled in the first book, I’d be staring at padded cells in the second one and in the third I would be merrily chatting to a friendly dog that no one else can see). Everyone, seriously. I am this close to buying this series in bulk and handing them out to the hooded youths who hang around in bus stops…. Well, OK, maybe not. But these books need to be read and it makes me so sad that there isn’t a copy in my local library (unless aforementioned hooded youths have already taken it out and are devouring it feverishly). Im a newish book blogger to :) I'll be keeping an eye on your reviews! Haha thank you! Sorry it took me so long to reply to your comment! I love them too, they're definitely my favourite series of books!